To what extent must we establish the crucifixion before examining the evidence for the resurrection? Dr. Craig interacts with blogs and Bart Ehrman. Kevin Harris: Dr. Craig, I read online from Bradley Bowen that, according to Dr. Norman Geisler, “Before we can show that Jesus rose from the dead, we need to show that he really did die” (Geisler, When Skeptics Ask, p.120). Then he writes Dr. Craig, on the other hand, has specialized in making the case for the resurrection of Jesus. But it doesn't seem that Craig either understands or follows Geisler’s common-sense point that in order to show that Jesus rose from the dead you need to show that he really did die. Then he asks why you haven't devoted more material to the death of Jesus and just spend time on the resurrection of Jesus. Dr. Craig: Obviously, if Jesus rose from the dead that implies that he did die. So in that sense Bowen is right. But I think that he makes a number of missteps in his blog. It is evident that this is not a work of scholarship, if I may say so. He tells us that he had once aspired to go on to do M.A. work but his plans didn't work out. This blog is characterized by a kind of vitriolic language that is not the language of scholarship. He calls upon me to confess my sin and to repent and so forth. Apparently, Bowen thinks that the soundness of an argument is based on the number of pages that is required to state it. That is simply not true. It is interesting that he never interacts with any of the arguments for the death of Jesus, but just complains that not enough pages are devoted to these arguments. What he needs to do is engage with the arguments. The reason that I personally have not devoted any space to a discussion of the death of Jesus by crucifixion is that this fact is not in dispute. This historical fact is not one that is controversial among biblical scholars. For example, Luke Johnson, who is a New Testament scholar of some renown at Emory University says, “The support for the mode of his death, its agents, and perhaps its coagents, is overwhelming: Jesus faced a trial before his death, was condemned and executed by crucifixion.” In fact, the death of Jesus is so well established that according to Robert Funk, who was the co-chair of the Jesus Seminar, the crucifixion was “one indisputable fact” that neither the early Christians nor their opponents could deny. That remains similar today. The crucifixion and the death of Jesus is something that is simply not in dispute by historians today. In fact, many would regard the crucifixion of Jesus as one of the criteria of authenticity along with things like multiple independent attestation, dissimilarity, embarrassment, and so forth. Views can be assessed in their historical credibility by how likely they are to have led to Jesus' crucifixion and execution. A view that is not likely to lead in that direction is thereby rendered more improbable than views that would result in Jesus' execution by crucifixion. Because this is so firmly established as an event of history, views can actually be assessed in their historical credibility by how likely it is that they would lead to Jesus' execution by crucifixion. 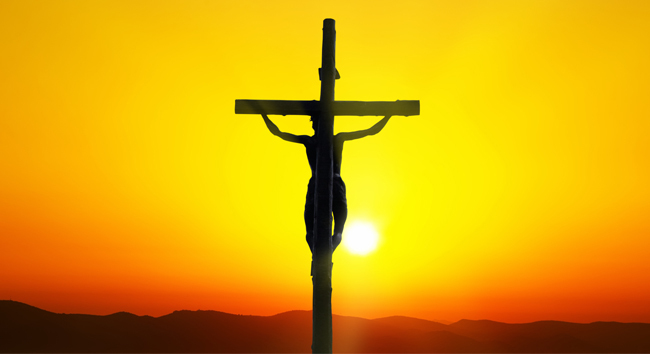 For two obvious reasons practically no one would deny the fact that Jesus was executed by crucifixion: (1) This central event is reported or alluded to not only by the vast majority of New Testament authors but also by Josephus and Tacitus . . . . (2) Such an embarrassing event created a major obstacle to converting Jews and Gentiles alike. . . that the church struggled to overcome. . . . These two factors are instances of the criterion of multiple independent attestation (in the case of the first) and the criterion of embarrassment (in the case of the second). So on the basis of those factors, as I say, every serious New Testament historian believes that Jesus was in fact executed by Roman crucifixion. So in building a case for the resurrection of Jesus, I think one isn't required to establish this uncontroversial fact any more than one needs to establish the uncontroversial fact that Jesus existed. You can show, on the basis of historical evidence, that those four facts are indeed well established historically wholly independently of a review of the historical evidence for Jesus' execution by crucifixion. So if one is to concede the historicity of those four facts and yet say that Jesus did not die, one is forced to simply embrace the discredited old Apparent Death Theory that Jesus only apparently died on the cross. If you are going to admit those four facts and yet maintain that Jesus in fact did not die then you are more or less embracing the Apparent Death Theory. That theory, as I say, is just completely discredited today and has been for nearly two hundred years. Bowen complains that in my book, The Son Rises, I devote only two pages to a discussion of the Apparent Death Theory. But that is simply because what I am doing here is reviewing or summarizing the reasons for which this theory is now discredited among contemporary scholarship. Namely, it first fails to take seriously the extent of Jesus' tortures and medical injury. Secondly, it turns Jesus into a deceiver who deliberately tricked the disciples into thinking he was risen from the dead. Thirdly, the objection by D. F. Strauss that a half-dead Jesus would never have convinced the disciples that he was the lord of life and the conqueror of death, but rather a man who had barely escaped the executioner and desperately needed all the medical attention that they could give. I think no more needs to be said than to simply summarize those reasons for which the Apparent Death Theory is discredited. So the ball is now in Bowen's court. If he is going to defend the Apparent Death Theory then he is the one who needs to engage the arguments and not simply complain about the number of pages that have or have not been devoted to a discussion of Jesus' death by crucifixion. Kevin Harris: I wonder why Mr. Bowen is going in this direction. Is it because he needs more information for himself on the crucifixion and death of Jesus? Why he is sending you off on this task? Dr. Craig: I think that is clearly not the case, Kevin. The vitriolic and angry rhetoric that characterizes his blogs on this I think bear that out. No serious scholar today is skeptical about the death of Jesus of Nazareth by Roman crucifixion. So what this represents is just a desperate attempt to avoid the implication of those four facts by proposing a view that is really not defended at all today, namely, the old discredited Apparent Death Theory. Kevin Harris: The first of your four facts, Dr. Craig: the burial. Bart Ehrman has written on that. Greg Monette is a PhD candidate doing dissertation work on the New Testament and he has written on why Bart Ehrman gets Jesus' burial wrong. He takes a look at Bart Ehrman's book How Jesus Became God: The Exaltation of the Jewish Preacher from Galilee.
. . . there are a couple of things that we can say for certain about Jesus after his death. We can say with relative certainty, for example, that he was buried. . . . Some scholars have argued that it's more plausible that in fact Jesus was placed in a common burial plot, which sometimes happened, or was, as many other crucified people, simply left to be eaten by scavenging animals (which also happened commonly for crucified persons in the Roman Empire). But the accounts are fairly unanimous in saying (the earliest accounts we have are unanimous in saying) that Jesus was in fact buried by this fellow, Joseph of Arimathea, and so it's relatively reliable that that's what happened. We also have solid traditions to indicate that women found this tomb empty three days later. This is attested in all of our gospel sources, early and late, and so it appears to be a historical datum. As so I think we can say that after Jesus' death, with some (probably with some) certainty, that he was buried, possibly by this fellow, Joseph of Arimathea, and that three days later he appeared not to have been in his tomb. So here Ehrman endorses the historicity of both Jesus' burial in the tomb by Joseph of Arimathea and then the discovery by his female followers that that tomb was in fact empty. The grounds on which Ehrman makes this conclusion are the multiple, early, independent attestation of both the burial by Joseph of Arimathea and the discovery of the empty tomb by women. These are pretty persuasive grounds for thinking the burial in the tomb and the discovery of the empty tomb are historical facts. Now it will be interesting then to see what did Ehrman discover, what changed his mind, so that now he is no longer persuaded by the multiple, early, independent attestation of these facts? Kevin Harris: What would those be, Bill? What does he say?
. . . that Christ died for our sins in accordance with the Scriptures, and that he was buried, and that he was raised on the third day in accordance with the Scriptures, and that he appeared to Cephas then to the Twelve. Ehrman says, Look, it doesn't say in the second line “and he was buried by Joseph of Arimathea” and therefore this is evidence against the burial by Joseph of Arimathea. This is obviously an argument from silence, isn't it? There is no reason to think that the writers of this formula would encumber the formula with the name of Joseph of Arimathea as the one who buried Jesus. Kevin Harris: Encumbering the formula – this was designed to synopsize and easily recited and remembered, so it didn't go into what he was wearing, his hair was parted on the left side. You can't put that in these creedal statements. Dr. Craig: Right. I think the point you are making is excellent, Kevin. This is an outline as it were. It is a summary of the central events of the Passion. It in no way implies that Paul or the formulators of the formula didn't know the historical context of this outline. [ In fact – and this is not a point that Monette makes in response to Ehrman but one that I have made – when you compare this four-line formula with the Gospel accounts on the one hand and with the early sermons in the book of Acts on the other (which Ehrman thinks do embody or contain ancient traditions and are not just Luke's compositions), what you discover is that this four-line formula is like an outline of the central events of Jesus' passion and resurrection. First is the crucifixion, secondly is the burial by Joseph of Arimathea, thirdly will be the discovery of the empty tomb (that corresponds to the line “and he was raised on the third day,”) and then fourth is the appearances to various individuals and groups of people. So the second line of the formula “and he was buried” is a summary in very succinct terms of the burial story by Joseph of Arimathea. Kevin Harris: Monette points out that at one point Bart Ehrman acknowledges that Paul knew Peter, and how in the world would Peter not know who buried Jesus? Dr. Craig: Sure. Paul visited with Peter and James just three years after his conversion experience, spent two weeks with them. I think that it is very probable that Paul probably visited the tomb where Jesus had lain. There is no reason to think that would be unlikely. Notice – this would be an odd way to argue – that the historicity of the empty tomb narrative entails the historicity of the burial account because if the tomb of Jesus was found empty then obviously Jesus had to have been buried in the tomb. So if you grant that it is historically likely that women discovered Jesus' tomb empty then implicitly you have recognized the historicity of the fact that Jesus was buried in the tomb and not thrown into some common criminals' graveyard or left on the cross. Kevin Harris: Monette points out that “Ehrman himself recognizes the importance of Paul knowing Cephas (Peter) and James as he states in his previous trade-book (Did Jesus Exist? )” – he emphasizes the importance of Paul knowing them. Monette points out that, “Ehrman wonders why Joseph of Arimathea (as referenced by all four gospels) is said to have been the person who buried him since Mark’s Gospel (14:55) tells us the entire Sanhedrin voted for Jesus to be executed . . .” Does that include Joseph of Arimathea? Dr. Craig: It might if he were in attendance, but far from being an argument against the historicity of the burial by Joseph, as Monette points out, this is actually an argument in its favor. Namely, if Mark says the entire Sanhedrin voted to condemn Jesus to the cross then you would not expect to have an account in which one of the Sanhedrists then does what is honorable to Jesus by giving him a decent burial in the tomb. So this actually is an argument in support of the historicity of Joseph of Arimathea, not against it. It is odd that Ehrman so misunderstands this point. Notice that Ehrman doesn't respond to his own earlier point in the Teaching Company lectures, namely, the early, multiple, independent attestation of the burial account. As Monette points out, we have this early, multiple, independent attestation of the burial by Joseph, and Ehrman doesn't come to grips with his own previous argument in favor of the historicity of the account. Dr. Craig: Right. This, I think, is again a really weak argument. When you look at the book of Acts, it is very evident that there was tremendous resentment in the early Christian church – in the early Jesus movement – against the Jewish authorities who had been guilty in effect of a judicial murder of Jesus of Nazareth. So in the book of Acts Luke polemicizes against the Jewish authorities and Sanhedrists and he actually says that they are the ones who crucified Jesus – not that they simply buried him but that they crucified him. Does that mean that the Romans did not carry this out? Obviously not. Luke is simply polemicizing against the Jewish authorities because they are the ones that ultimately, they thought, were the ones responsible for Jesus' condemnation and death. So the fact that in these speeches in Acts it says “You killed him and laid him in the tomb” is in no way meant to be contradictory to the very narratives that Luke relates in his Gospel that it was Joseph of Arimathea who was, of course, a member of the Sanhedrin who was the person responsible for burying Jesus. I think this is an argument really from desperation and makes me think that what caused Ehrman to backpedal on his earlier affirmations of the historicity of the burial and empty tomb is not any discovery of new evidence but rather I think he saw where this evidence began to point and therefore realized that he needed to deny the historicity of the burial and empty tomb lest he be allowing a foot in the door that would lead to the conclusion that Jesus rose from the dead. Kevin Harris: By the way, people can check Greg Monette's second article on this if they want some more detail on ancient burial practices. Bill, some things you just said, clear something up for us. The New Testament is often accused of being anti-Semitic because they say “the Jews” did this, and “the Jews” were responsible for this. Yet these are Jewish writers saying this. Does this mean that they are talking about the authorities there? Dr. Craig: Right. That is obviously right because they themselves, as you say, were Jewish – the earliest disciples I mean. So what is being condemned here are these Sanhedrists, the Jewish priesthood of the temple, the temple authorities, that were aligned against Jesus and eventually drove him to the cross by getting him condemned by Roman authority for treason because of his proclamation of the Kingdom of God. http://www.patheos.com/blogs/secularoutpost/2014/05/23/the-failure-of-william-craigs-case-for-the-resurrection/ (accessed July 21, 2014). http://www.patheos.com/blogs/secularoutpost/2014/06/01/an-open-letter-to-dr-william-lane-craig/ (accessed July 21, 2014). Robert Funk, Jesus Seminar videotape. John Meier, "The Circle of the Twelve: Did It Exist during Jesus' Public Ministry?" Journal of Biblical Literature 116/4 (1997): pp. 664-5. See Greg Monette's two-part blog at http://gregmonette.com/blog/post/how-bart-ehrman-gets-jesus-burial-wrong-part-1 and http://gregmonette.com/blog/post/why-bart-ehrman-gets-jesus-burial-wrong-part-2 (accessed July 21, 2014). Bart Ehrman, From Jesus to Constantine: A History of Early Christianity, Lecture 4: "Oral and Written Traditions about Jesus" [The Teaching Company, 2003]. Compare 1 Corinthians 15:3-5 with Acts 13:28-31 and Mark 15:37-16:7.